2016 Rodger Doxsey Travel Prize Results Are In! 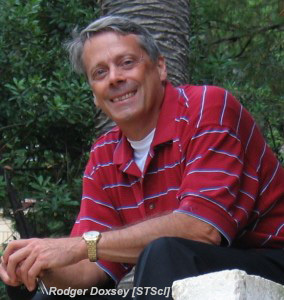 The Rodger Doxsey Travel Prize — established through the support of his father, John Doxsey, and other friends, family, and colleagues — provides graduate students and postdocs within one year of receiving or receipt of their PhD a monetary prize to enable the oral presentation of their dissertation research at a winter meeting of the AAS. The first awards were made for the 217th AAS meeting in Seattle, Washington, in January 2011. We received 125 oral dissertation abstracts for the upcoming 227th AAS meeting in Kissimmee, Florida, and more than 80% of them were entered into the 2016 Rodger Doxsey Travel Prize competition. Choosing only a small number of these to win the prize from among so many worthy applications was not easy. In all, there were eight Doxsey 2016 prize winners and six honorable mentions. Prize winners and honorable mentions will each receive complimentary registration for the Kissimmee meeting. In addition, the prize winners will receive a modest stipend to help cover their travel expenses. Prize winners and honorable mentions came from a diverse group of institutions and geographical locations. Following are the 2016 Doxsey prize winners and honorable mentions — please tell them congratulations if you see them at the meeting! Chris Palma, Pennsylvania State Univ.